With the increase in measles cases across the US, the Florida Department of Health in Brevard County (DOH-Brevard) is urging Floridians and visitors who have not been immunized to get vaccinated. Although measles was thought to be eradicated in the United States in 2000, the disease has reappeared in recent months in the form of outbreaks in several states. The Centers for Disease Control and Health Protection defines a measles outbreak as three or more cases. As of April 17, 2019, one measles case has been reported to the Florida Department of Health. This week, April 1 – 7, the Florida Department of Health in Brevard County (DOH-Brevard) is acknowledging National Public Health Week (NPHW). NPHW presents an opportunity for communities across the United States to reflect on the contributions of public health and highlight issues that are important to improving our health. The Florida Department of Health in Brevard County issued a rabies alert for the Industry Drive area in Melbourne. This is in response to a stray kitten that tested positive on 01/25/2019. The Florida Department of Health in Brevard County issued a rabies alert for the Friday Road, Fern Meadows area. This is in response to an adopted stray cat that tested positive on 01/17/2019. The Florida Department of Health in Brevard is pleased to announce its participation in the Florida Age-Friendly Public Health Collaborative and Action Network, facilitated by Trust for America’s Health (TFAH) with generous funding from The John A. Hartford Foundation. The department and TFAH aim to identify and enhance the role of public health in improving the health and well-being of the older adults in our community. The Florida Department of Health in Brevard is reminding residents and visitors to use caution when on the beach or in waters with high concentrations of red tide. The Florida Department of Health in Brevard County issued a rabies alert for the Friday Road, Fleetwood Place area in Cocoa. This is in response to a stray cat that tested positive on 9/07/2018. The Florida Department of Health in Brevard County issued a rabies alert for the Tucker Lane area. This is in response to a stray cat that tested positive on 7/21/2018. The Florida Department of Health in Brevard County urges residents to avoid contact with wild and stray animals to protect themselves from the risk of rabies exposure. The Florida Department of Health recognizes May 6-May 12 as National Nurses Week as a time to honor the crucial role nurses play in keeping Florida’s residents and visitors healthy and safe. The department commends the many nurses that volunteered to provide care in special needs shelters during Hurricane Irma for their hard work and sacrifice. The Florida Department of Health in Brevard recognizes April 21-28 as National Infant Immunization Week (NIIW), an annual observance promoting the benefits of immunizations for children from birth to two years old. NIIW also celebrates the milestones achieved in controlling vaccine-preventable diseases among infants worldwide as a result of immunization. The Florida Department of Health in Brevard is celebrating National Public Health Week from April 2-8. This year’s theme is “Changing Our Future Together,” which highlights the importance of engaging communities and partners in all sectors as public health workers strive to put health within everyone’s reach. This week is also a time to celebrate the contributions of the people who are dedicated to public health. With the holiday season fast approaching, the Florida Department of Health is encouraging Floridians to keep food safe by practicing basic food safety measures while preparing meals this Thanksgiving. The Florida Department of Health in Brevard County (DOH-Brevard) encourages all Floridians to keep vaccine between you and disease by getting a flu shot ahead of the 2017 flu season. Floridians should get the flu vaccine to protect against infection and help prevent the spread of seasonal flu to others. It has never been easier, and it’s never too late to get your flu shot! In recognition of Breast Cancer Awareness Month in October, the Florida Department of Health in Brevard encourages all women to receive regular screenings to promote early detection and treatment of breast cancer. Aside from non-melanoma skin cancers, breast cancer is the most common cancer in women. Over the last decade, survival rates have increased, however, early detection continues to be critically important. The Florida Department of Health in Brevard County (DOH-Brevard) urges residents to take caution with local “fish kills,” a sudden appearance of dead fish in a lake, river or pond, possibly due to heavy rainfall associated with Hurricane Irma. The Florida Department of Health in Brevard County has a list of Frequently Asked Questions to address some of the most common questions and concerns about indoor mold. The Florida Department of Health in Brevard County urges the public to take precautionary measures to avoid indoor air quality problems can that occur in storm damaged homes and buildings. Moisture from leaks or flooding can promote mold growth inside buildings. Out of an abundance of caution and in order to protect the health and well-being of Florida’s residents and visitors, the Florida Department of Health in Brevard County has issued a precautionary swim advisory for all public beaches due to potential effects on water quality related to Hurricane Irma. At this time, swimming is not recommended in areas that have not been tested since the storm. Frequently Asked Questions (FAQ) regarding flood water safety. Storms can cause flooding. Skin contact with flood waters does not, by itself, pose a serious health risk. However, health hazards are a concern when waters become contaminated with bacteria and viruses. Frequently Asked Questions (FAQ) regarding carbon monoxide. Frequently Asked Questions (FAQ) regarding boil water advisories. Heavy rainfall from storms, or hurricane, especially if accompanied by a tidal surge or flooding, can contaminate the public water supply. Drinking contaminated water may cause illness. Individuals cannot assume that the water in the hurricane-affected area is safe to drink. Heavy rainfall from tropical systems and hurricanes may result in flood waters that are contaminated with sewage. Proper cleaning and disinfecting procedures are recommended to prevent illness. In case of an electrical outage, take precautions to ensure your food is safe. The risk of food poisoning is heightened when refrigerators and ovens are inoperable. Discard any food that has been at room temperature for two hours or more, and any food that has an unusual odor, color or texture. Just remember – When in doubt, throw it out! As Floridians are experiencing Hurricane Irma, the Florida Department of Health (DOH) is urging the public to avoid carbon monoxide (CO) exposure by taking precautions with gaspowered appliances and charcoal or gas grills. The Florida Department of Health in Brevard encourages parents to have their children immunized as the new school year approaches. 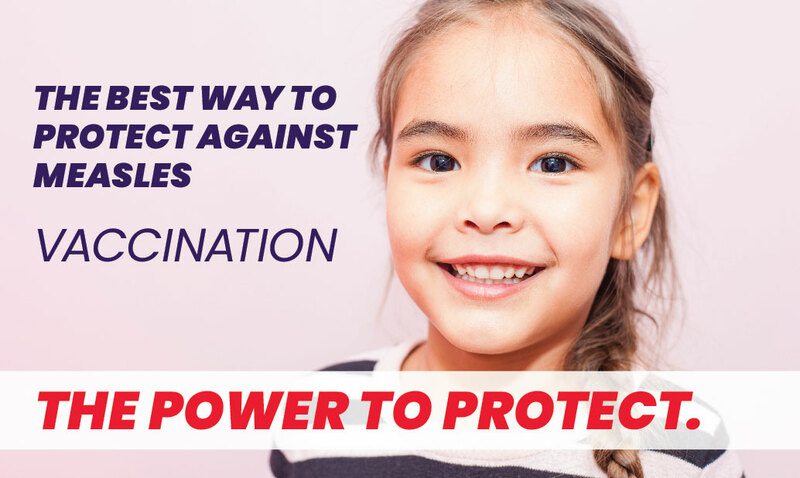 Local county health departments statewide are providing free immunization services for eligible children who are entering school for the first time and those who are returning to class in the upcoming school year. Parents of kindergartners and 7th graders are encouraged to review their children’s immunization record to ensure they are ready for the upcoming school year. Students entering college are also encouraged to ensure their immunizations are up to date. The Florida Department of Health in Brevard County is celebrating National Breastfeeding Month this August. This year's theme—Charting the Course Together—focuses on using data and measurement to build and reinforce the connections between breastfeeding and a broad spectrum of other health topics and initiatives. This week is National Public Health Week and the Florida Department of Health in Brevard (DOH-Brevard) is giving Floridians an inside look at some of the careers behind public health and the dedicated professionals who do them. Each day, the department will highlight a different area of public health including epidemiology, emergency preparedness and response, environmental health and public health nursing. These fields and many more help the department carry out our mission to promote, protect and improve the health of Florida residents and visitors. During the 56th National Poison Prevention Week, celebrated March 19-25 this year, the Florida Department of Health in Brevard is sharing tips to ensure the safety of homes and communities and help prevent poisonings. In 2016, nearly 38,000 poison exposure calls reported in Florida were regarding children age 5 and under. Poisonings are completely preventable and it is every adult’s responsibility to keep children safe from harmful exposure to medications and chemicals around the home. March is National Nutrition Month and the Florida Department of Health in Brevard County (DOH-Brevard) is promoting healthy eating and encouraging Floridians to make informed food choices. National Nutrition Month® is sponsored annually by the Academy of Nutrition and Dietetics and this year’s theme is “Put Your Best Fork Forward.” The campaign serves as a reminder that each bite counts and to start with small changes in our eating habits – one forkful at a time. Making small changes in our food choices can add up over time to big health benefits. February marks the beginning of American Heart Month and it is a great time to commit to a healthy lifestyle and make small changes that can lead to a lifetime of heart health and help fight heart disease, which is the leading cause of death in Florida and the nation. The Florida Department of Health in Brevard County is raising awareness about Sickle Cell Disease (SCD) and the importance of learning if your family has a history of the Sickle Cell Trait (SCT). The Florida Department of Health in Brevard County issued a rabies alert for the Weber Road area. This is in response to a horse that tested positive on Aug. 30, 2016. In celebration of World Heart Day, the Florida Department of Health in Brevard County and Brevard County Fire Rescue are promoting heart health by hosting Hands-Only™ CPR training from 10:00 a.m. to 2:00 p.m. Tuesday, September 29, in the Posey Conference Center, 2555 Judge Fran Jamieson Way, Viera. World Heart Day is an annual event created by the World Heart Foundation to remind everyone that heart disease and stroke are the world’s leading causes of death. The theme for 2015 is creating heart healthy environments. On Thursday, September 24, 2015, the Florida Department of Health in Brevard County received confirmation of a raccoon positive for rabies located at The Meadows Mobile Home Park, 1100 Estates Lane, Melbourne, FL 32934. Registration is now open for the Florida Department of Health’s World Heart Day events being held in Brevard County. World Heart Day will become an annual event in Florida to focus attention on the fact that heart disease and stroke are the world’s leading causes of death. The Florida Department of Health in Brevard County (DOH-Brevard) is working with health care providers, parents and administrators to respond to a death of a child due to suspected meningococcal disease while at the Brevard Juvenile Detention Center. Meningococcal disease is a very serious infection of the blood or membranes around the brain (meningitis). The disease is contagious and most common in infants, adolescents and young adults.